Where could someone from South Africa buy a crank for a Hawk V5 250 cc road bike? Hi... 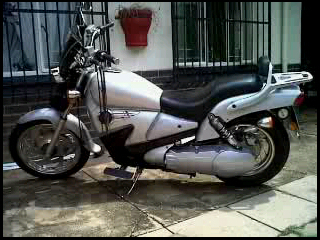 I'm from South Africa and recently bought a second hand Hawk V5 250cc Road Bike. My problem is that the crank needs to be replaced and we do not get any of the parts in South Africa. Where can I Buy and import parts online? My bike has been out of service for almost 4 months now and its driving me nuts!